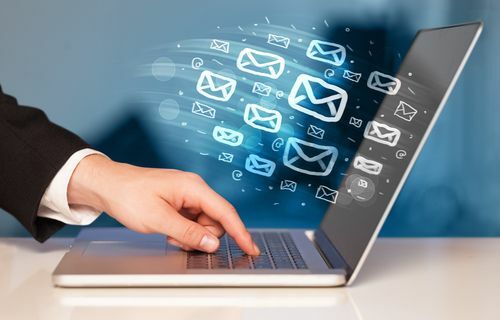 The average consumer is flooded with email messages each day. From advertisements for home products, to department store sales, to notifications from social media sites like Facebook and Twitter, most people simply don’t have time to wade through all of it. Marketing copy is often the first thing that gets moved to the trash. If you want your email to get read instead of sent to the trash file, you need to create compelling copy. Use this guide to help you create fresh, exciting small business email marketing copy. If your marketing email doesn’t have a subject line that grabs the attention of everyone who gets it, you can guarantee that it will go right in the garbage. Spend time creating thought-provoking subject lines. At the very least, put an enticing offer—like announcing a 50% off sale—in your subject line. When you’re writing small business email marketing copy, beating around the bush isn’t going to help you reach customers. In fact, it’s going to annoy your customers before they even find out why you sent the email. Start your emails with a brief greeting, then get right to the heart of the matter. Save the corny jokes and updates about your company for your blog. Everybody that gets your email knows you’re selling something, so don’t try to hide it. Instead, identify the offer you’re making your customers and tell them why they should be interested. Just like asking for the sale is a principle of retail marketing, you need to let your customers know why they should be paying attention to your email and buying from your company. Marketing copy needs to be short and sweet. For that reason, your paragraphs should be two to three sentences maximum. Bullet points are very effective. This allows readers to easily scan your emails to find information that’s pertinent to them without getting bored or annoyed. It’s also standard practice for internet writing. Here are some examples of some small business email marketing layouts where you can customize and upload your list for sending.